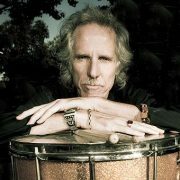 In academic year 1991-92, John Densmore (former drummer for the musical group, The Doors) established an endowment fund to support UCLA undergraduate students who major or minor in African American Studies. Awards are made on a competitive basis, and criteria are based on achievement, scholastic promise, and academic goals. The deadline for submitting completed applications to the Ralph J. Bunche Center is Monday, April 30, 2018 at 12:00 Noon. The selected student will receive a $3000 credit towards UCLA educational expenses for the 2018-19 academic year. Applications are available in the Bunche Center, Haines Hall Room 160 OR online (FILLABLE Densmore- BUNCHE CENTER Scholarship Application 18-19. For more info, please call 310-825-7403. 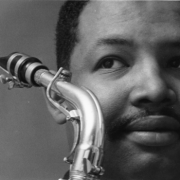 This scholarship fund was established in 1976 to honor the memory of the late internationally renowned jazz musician, Julian “Cannonball” Adderley. The purpose of the fund is to support the efforts by the Ralph J. Bunche Center to foster greater appreciation for the African American musical heritage. Awards are made on a competitive basis to undergraduate students specializing in African American Studies, music, the arts, or other related areas. We are currently seeking more funding for this scholarship. For more info, call 310-825-7403. On April 2, 2007, Jeannette Chisholm Moore provided a gift establishing the Roxanne Chisholm and Jeannette Chisholm Moore Endowed Scholarship Fund. The fund was established in honor of her deceased daughter, Roxanne Chisholm. The gift was provided to support graduate and undergraduate students participating in African American Studies who demonstrate financial need and merit. A $1500 scholarship will be awarded. The deadline for submitting completed applications to the Ralph J. Bunche Center is Monday, April 30, 2018 at 12:00 Noon. The selected student will receive a $1500 credit towards UCLA educational expenses for the 2018-19 academic year. Applications are available in Haines Hall Room 160 OR online FILLABLE 2018 Chisholm-Moore- BUNCHE CENTER Scholarship application. For more info, please call 310-825-7403. 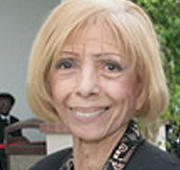 Read more about the endowment at the UCLA Foundation. For more information and how to apply, please call the Bunche Center main office at 310-825-7403.